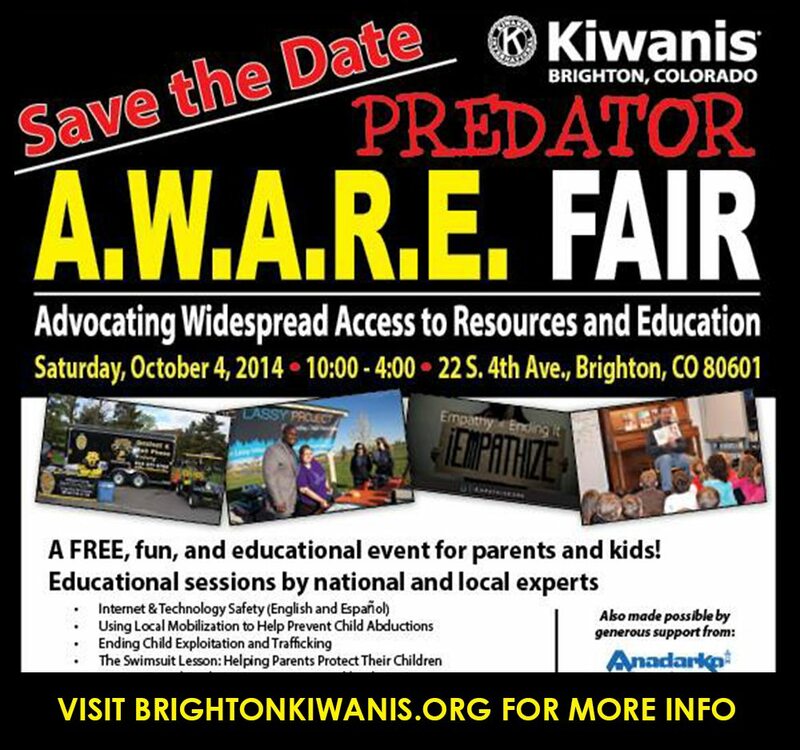 The Kiwanis Club of Brighton, a part of Division 11 of the Rocky Mountain District of Kiwanis and a member of Kiwanis International, is an active and fun group of adults who plan and participate in service projects and programs to help make Brighton a better community for youth. We meet for lunch Wednesdays from noon to 1:00 at the Knights of Columbus Hall located at 1096 E. Bridge Street. Meetings are open to guests interested in learning more about the club and/or exploring membership.